Ripple price news: What is the price of Ripple? Can XRP recover? Midweek charts show Ripple continuing to fall as the bearish trend forced cryptocurrency prices down. Ripple suffered heavy losses over the weekend but continue to lose more, with another 4.51 percent being shaved off to see XRP trading at $0.459704 as of 8am. The entire market has seen significant losses this morning as well, with bitcoin trading at $6,107.14, Ethereum going for $434.63 and Litecoin selling for $76.89. 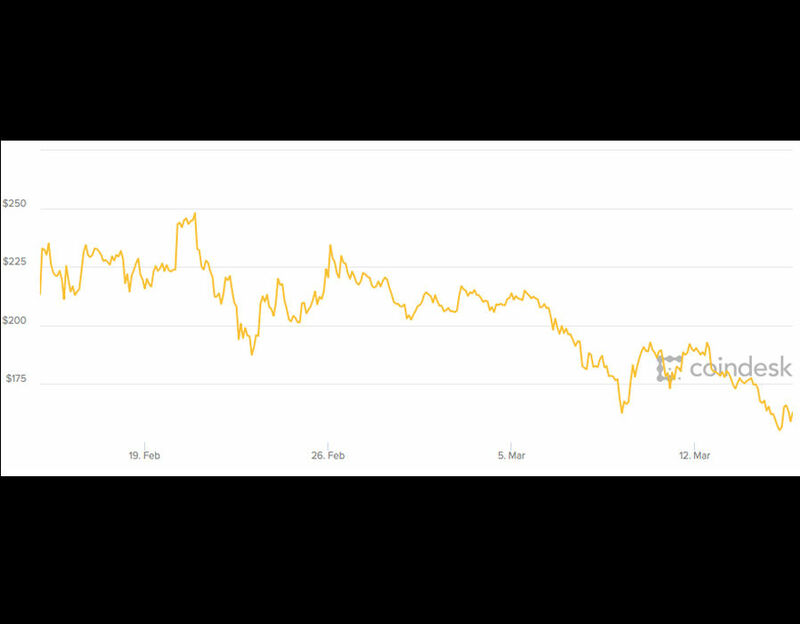 The cryptocurrency market has seen a significant amount of negative news in recent weeks, sparking a drop well below expectation. Cryptocurrencies can’t catch a break this week as more negative news continues to plague the market. Traders woke up to the news that the Department of Justice (DOJ) has seized more than $20 million in bitcoin from illicit weapons and narcotics traders on the Darknet, shrouding the cryptocurrency market in a negative light again. Vendors on the mysterious and insidious Dark Web are able to use cryptocurrencies to trade illicit goods anonymously, a dark past that has haunted bitcoin since its inception. The latest raid on Darknet vendors saw weapons, drugs, $3.6 million in US dollars and more than $20 million in bitcoin seized by agents, which has subsequently knocked investors confidence in the market. Last week, Coinrail and Bithumb, two major cryptocurrency exchanges in South Korea, hacked for more than $70 million in alt coins combined. Hacks are an ever-present problem for cryptocurrencies, but the frequency of breaches has seen crypto-mania waning in recent months. Prices may also be seeing a slump this morning as Alibaba’s chairman Jack Ma advises traders against bitcoin, saying the digital coin is a bubble that will burst. Speaking at a launch event for a new online-payment service for real-time cash transfers between Hong Kong and the Philippines, he said: “Technology itself isn’t the bubble, but bitcoin likely is." Ripple has managed to avoid much of the negative press associated with the Darknet, touting itself as an agile and progressive cryptocurrency. Several major partnerships with global banks, including Santander and MasterCard, saw Ripple propel into one of the most trusted and traded cryptocurrencies, but a low tide sinks all ships, and the continued cryptocurrency price drop has affected Ripple negatively. Ripple CEO Brad Garlinghouse has been singing the digital coin’s praises, saying Ripple should be added to Coinbase’s listings. Today’s dip also comes after it was revealed Facebook is reversing its crypto ad ban, which could see some growth for XRP. Iqbal Gandham, UK Managing Director at eToro, said: "We have always advocated for a more sophisticated approach to cryptocurrency advertising, as we believe legitimate providers shouldn't be lumped in with rogue operators. "Customer safety and education about the market should remain a priority, but a blanket ban is a poor approach to new ideas. "Technology giants like Facebook are aware of the potential of blockchain technology to fundamentally change the financial system, so it is good to see that they are giving their customers a chance to contribute."